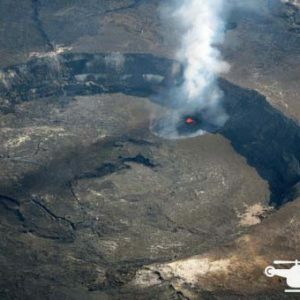 Even though you may feel geared up and ready for your day-long excursion through the Big Island’s Hawaii Volcano National Park, there are still some things to be aware of. 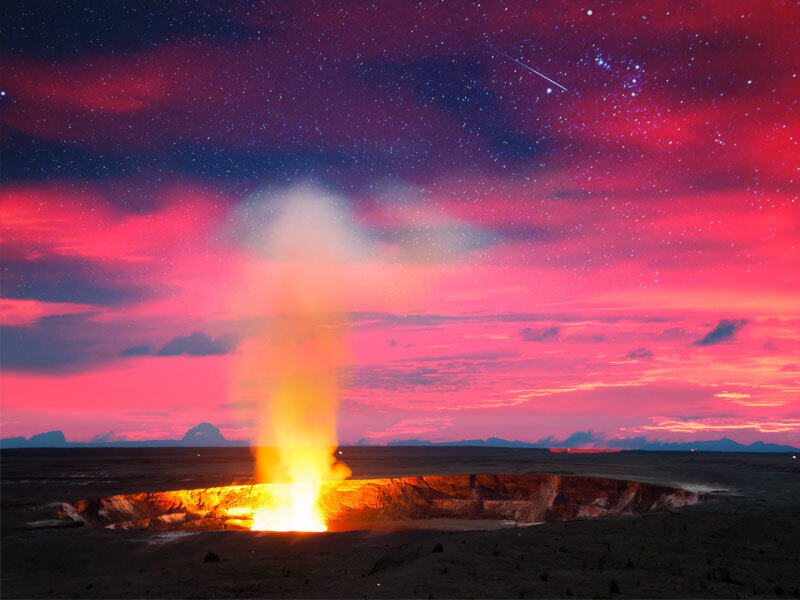 Showcasing the history and modern remnants of Hawaii’s greatest volcanoes and volcanic activity, the national park was established in 1916 as the Hawaii National Park and has been a staple of Hawaiian tourism and local culture ever since. We want to make sure you enjoy your time in the park, from the moment you step through the entrance to your first look at some of the marvelous features it hides within. With this quick guide, you’ll be prepped and ready for what secrets may await along with the all of the glorious things right there on the surface. 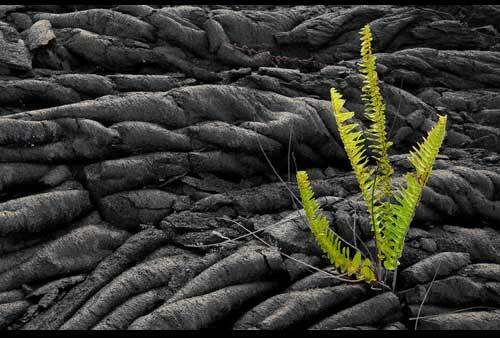 One striking facet of Hawaii Volcanoes National Park is the Crater Rim, which you can encircle on foot. The trail around the crater pulls you into the lush environment and providing you with up-close views of the tiny little secrets hidden all over. It’s a park focused around volcanoes, so you can bet that there’s going to be lava! 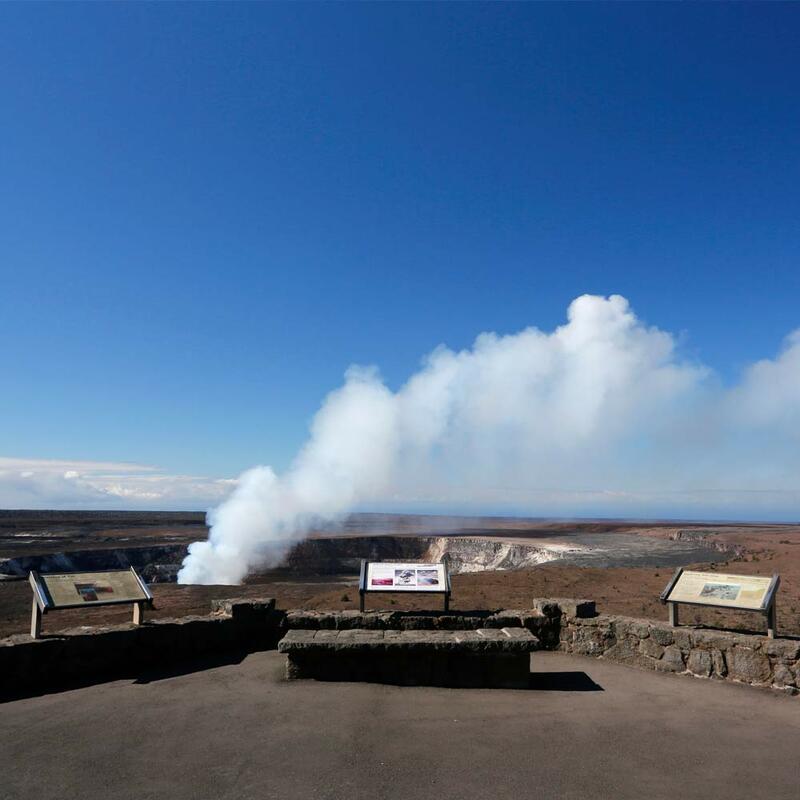 While you can’t take any lava home as a souvenir, you will have the chance to get an incredible view of the lava flowing from Kilauea, a currently active volcano that began erupting in January of 1983. 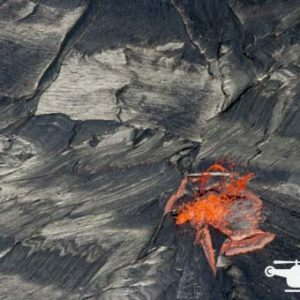 When the conditions are just right, you’ll be able to watch the lava flow directly into the ocean. It’s a lesson in Hawaii and local geography wrapped up in one remarkable viewing experience. It might make sense to explore the park while it’s still light out, so you can actually see everything there is to see, but when you go at night, you also explore it under a pitch-black sky freckled with bright, shining stars. Beneath the night sky, you get such a serene experience that’s lit by the glow of millions of stars overhead. 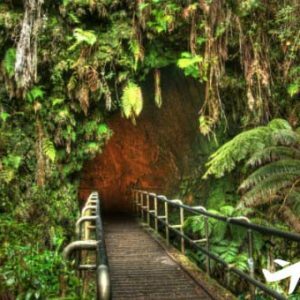 With all of this in mind, it’s quite simple to enjoy the many aspects of Hawaii Volcano National Park – with a guided tour. Some people think you miss out on the most interesting features when you go travel with a guided tour, but there is no better way to get local knowledge about locations and events. 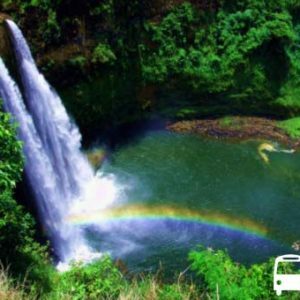 A tour will also provide you with the best means of exploring the park without missing the little nuggets of thrills speckled about, such as lava tubes, hidden waterfalls, and, of course, the main feature of the park – the volcanoes.